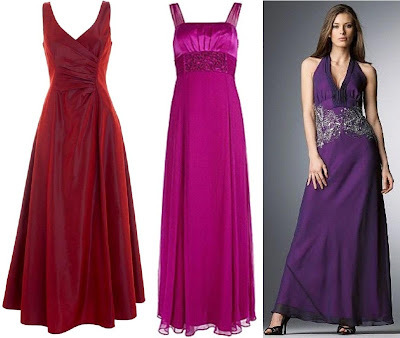 Wine taffeta ruched ballgown £70, Debenhams; Portia maxi dress £160, Monsoon; long embellished dress £85, Littlewoods. 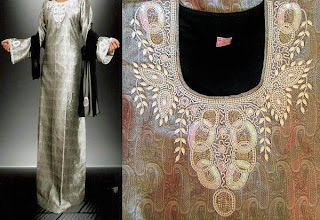 Pearl Pure abaya £69, Lebaas; Brocade jacket £85, Arabian Nites. And of course, don't forget your heels and handbag, and check out all my posts here for ideas for a special occasion hijab. More wedding outfits to come soon! 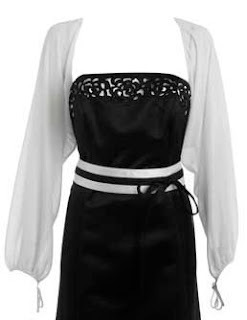 these clothes are wonderful.i'm thinking about wearing hijab, and i need advice.I am small and very thin, and so i can not see myself wearing abaya.Do you have any suggestion what i could wear so i dont disappear in clothes? mashaaallah, they are all lovely...the first one I like...i really like! Anon, thank you for visiting! Lucky you, it's a lot easier to dress modestly if you're slim! The key thing here is to find clothes that fit well - try the petite sections in shops. Also, go for more structured pieces rather than overly flowy ones, as that will stop you from being swamped, e.g. wide leg jeans with cotton shirtdresses, skirts with blazers, etc. Salam Hayah, thank you so much for your advice!Nobody wears hijab in my family(except my grandmother) neither my friends,so i am very greatful that you answered,sorry if i wrote something wrong cause english is not my language.